A compact alternative to the traditional barbecue, the sigmafocus attaches to a point on any wall, flips out to cook and folds away afterward. It comes with a stainless steel grill, a range of barbecue tools and can be fueled by wood or charcoal. The generous ash pan allows the barbecue to be used a number of times without it having to be emptied. The protective dish that attaches to the wall guards against smoke and heat damage. The quality and thickness of the steel guarantees the barbecue’s longevity. I haven’t written anything about the Sand Hill Farm property in a while, but there have been some things happening there. 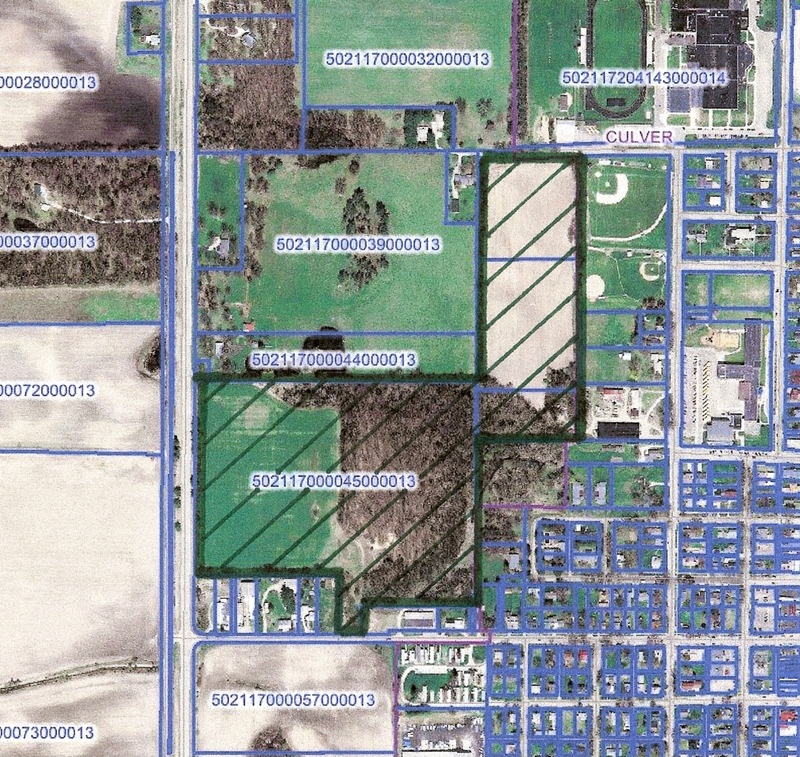 Last year the Town of Culver negotiated a new storm water easement through the property. There was an existing easement that ran diagonally through the property and exited through the Culcom property on Jefferson Street. The old easement wasn’t a problem when it was planned to be just farm land, but the new easement follows the property lines putting the majority of it within the setbacks. This frees up additional land for development. It also provides several access points for future storm water control within the property. I basically negotiated this as a no cost swap with the Town. They removed the old easement which was actually a county easement in exchange for the new easement. It worked out as a win-win for both parties. The easements allow access and road construction over them, etc. This is a non-construction tip. I saw this on Twitter the other day and wondered why no one ever told me this. 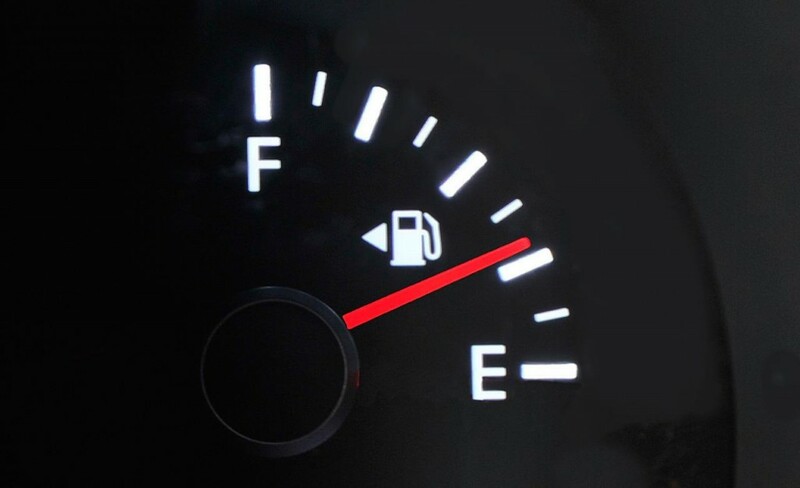 The little triangle on your gas gauge next to the gas pump symbol… It’s not just a triangle, it’s an arrow pointing to the side of the car that the gas cap is on. Really!?! Why didn’t anyone tell me that? Not that it’s a huge deal, but it’s definitely one of those PITA things when you rent a car and pull in expecting it to be one way and it turns out to be the other way. I’m sure some of you (like Julie here in our office) are thinking, “Duh! How could he not know that?” Well, I didn’t. If you didn’t, you’re welcome. Ha! Since reading about this I’ve been looking and not every car has it. That makes me feel a little better. It’s still something good to know. I’ll at least look the next time I’m trying to put gas in a strange car. One of my regular lurkers mentioned to me that they just discovered that I was posting things under News on our website. Those items show up under the “Recent Happenings” heading at the bottom of the front page of our site. Unfortunately the recent posts there have mainly been of ECC friends we have lost this year including Richard Ford and Don Neidig. I also try and post occasional milestones and accomplishments there. Check there too if you want more of what’s happening at Easterday Construction. It may make more sense to put the posts here and link them from “News” so we have more consistency. The whole website is a continuing experiment, so change is constant! 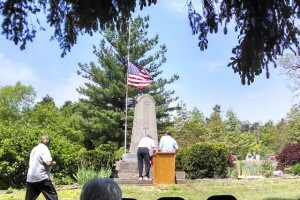 Becky and I attended the Memorial Day service at the Fletcher Cemetery just outside Hamlet yesterday. It was a very respectful service and I was pleased that they had a reasonably good turnout with a spread of ages. Thank you to the veterans there and across the nation for their service. I spoke to one of the veterans that said he had war veteran family members in that cemetery dating back the the Civil War and the Spanish American War. That is a lot of history for a small cemetery in rural Indiana. The service included reading a well written letter from Indiana State Senator Arnold, a traditional 21 gun salute and the playing of taps. It was all well done and we were glad we went.